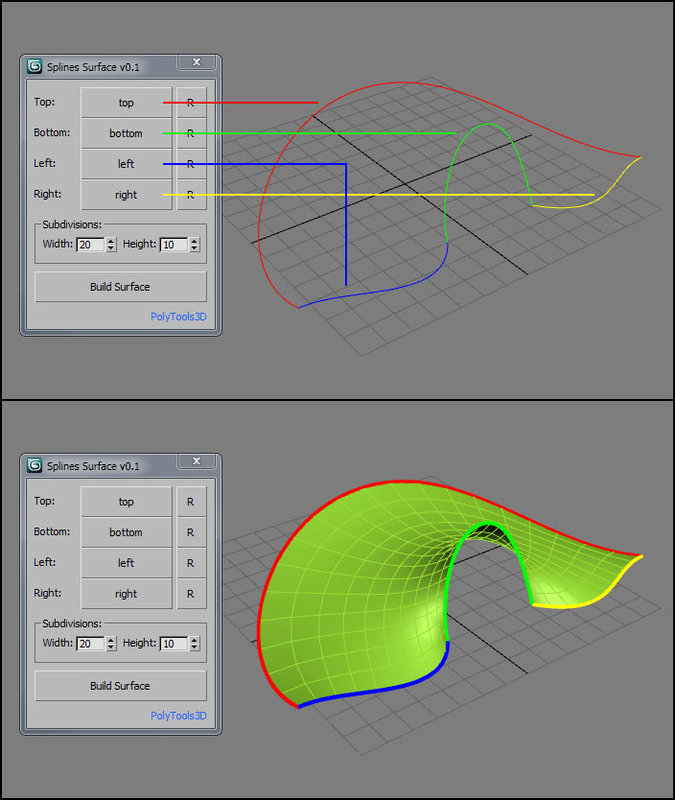 SplineSurface is a small tool that creates a quad surface based on 4 spline shapes. Pick up your 4 splines, set the number of subdivisions and click on Build Surface. You can reverse the order of each shape with the "R" button.